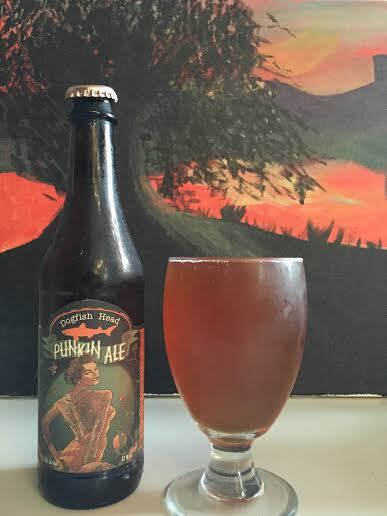 Up first, guest reviewer Justin’s take on Dogfish Head Beer – Punkin Ale! 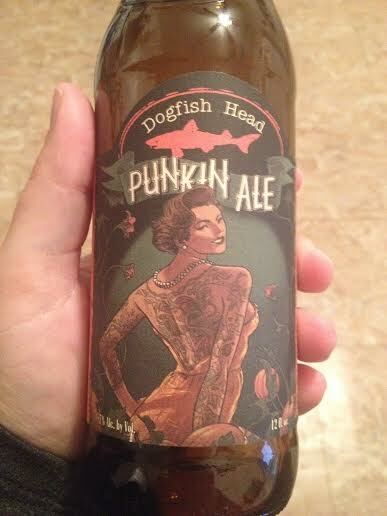 While not a perfect balance, Dogfish Head Punkin Ale has a thin start, but finishes strong. Spicy, smooth, warm but refreshing. It’s unfortunate that we only see this beer toward the end of the year, this seasonal would make an excellent summer retreat. This ale may be headless almost immediately after pouring, but it is not lacking in heart. The color really gives the feeling of autumn with a deep amber orange cone towards it’s core, brightening from gold to a pale yellow as you move closer to the edges. Allspice and Cinnamon really come to life in Dogfish Head Punkin Ale, but the promising taste of actual pumpkin flavor seems to be missing. Punkin Ale has been keeping me on my toes finding them each year, not for lack of distribution and volume, but because they switch up their label art. This year find’s us looking at the elegantly tattooed back of a woman in an evening gown – seeing as I just got a back tattoo and frequently wear gowns to sing opera in, I couldn’t love this bit of art more if I tried. Pouring a deep and clear honey hue, Punkin has noticeable cinnamon, nutmeg, and brown sugar in it’s nose. With meaty chunks of pumpkin, this ale is releases far more flavor at a slightly warmer temperature allowing the brown sugar malt to stir up the cinnamon & nutmeg, which were more noticeable in the aroma, and all-spice. In past years, the all-spice took on a far more dominant role, but this year sits back somewhat subdued. After the spicing and pumpkin fade a little, caramel malt kicks in and takes this ale home.